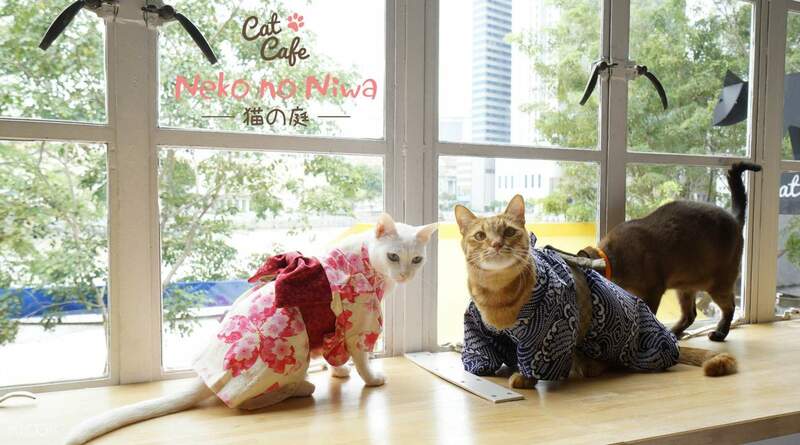 Cat Cafe Neko no Niwa was awarded the Certificate of Excellence in 2015-2018 by TripAdvisor! great. the cafe is clean. the cats are cute, clean, and friendly. the drinks are also nice. you can take picture anytime with the cats. 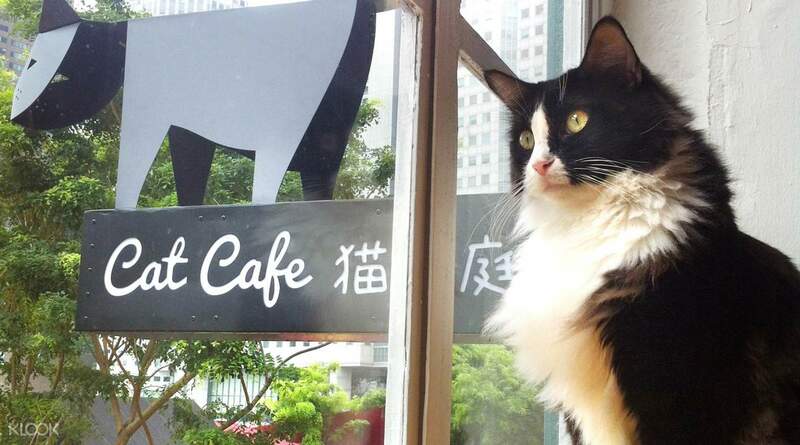 After you redeem the voucher, you need to wash your hands, leave the shoes in the lobby area, and order drinks before proceeding into a cosy cat room that has around 10 felines. In addition to playing with the cats, you can also explore the numerous cat-related books and board games (such as the "Crazy Cat Lady" board game). 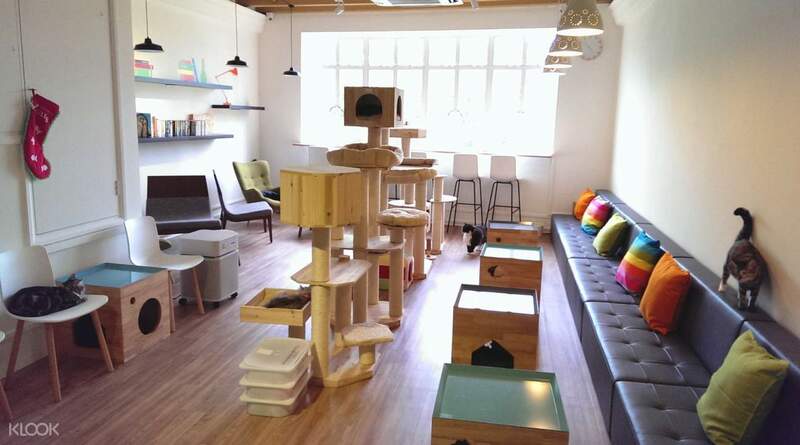 After you redeem the voucher, you need to wash your hands, leave the shoes in the lobby area, and order drinks before proceeding into a cosy cat room that has around 10 felines. In addition to playing with the cats, you can also explore the numerous cat-related books and board games (such as the "Crazy Cat Lady" board game). Nice, helpful and friendly staffs. Cosy place to relax and enjoy hanging around with the cats. The cats are adorable and well taken care. Nice, helpful and friendly staffs. Cosy place to relax and enjoy hanging around with the cats. The cats are adorable and well taken care. easy to redeem tickets. great coffee. people took their time to introduce us to the cats. very friendly people and super cute well cared for cats. easy to redeem tickets. great coffee. people took their time to introduce us to the cats. very friendly people and super cute well cared for cats. The cats are so adorable and well taken care of. Staff is friendly and professional. Overall a wonderful experience in a cozy and comfortable cafe. The cats are so adorable and well taken care of. Staff is friendly and professional. Overall a wonderful experience in a cozy and comfortable cafe. The cats were great. Very cute. I spend an hour there with the felines for a friend's birthday surprise. Took many photos and the guy that worked there was very friendly. Protective of the cats but didnt make the patrons uncomfortable. May visit again in the future. The cats were great. Very cute. I spend an hour there with the felines for a friend's birthday surprise. Took many photos and the guy that worked there was very friendly. Protective of the cats but didnt make the patrons uncomfortable. May visit again in the future. The staffs was very nice however the cat are all mainly adult cats and since I went there around evening time, most of the cat are sleeping / sleepy. The cat are mostly stray cat that you can find on the street, but of course well groomed. I would recommend this cafe for the customer service. The staffs was very nice however the cat are all mainly adult cats and since I went there around evening time, most of the cat are sleeping / sleepy. The cat are mostly stray cat that you can find on the street, but of course well groomed. 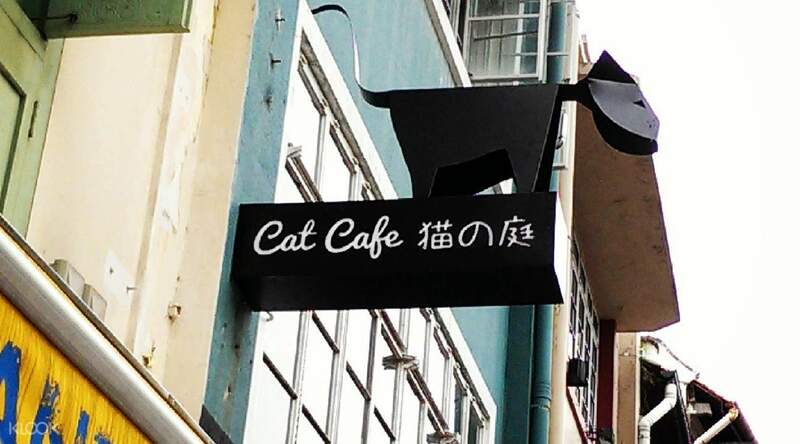 I would recommend this cafe for the customer service. Peace and quiet place, very therapeutic experience with adorable cats! Owners are polite and friendly too! Peace and quiet place, very therapeutic experience with adorable cats! Owners are polite and friendly too! great. the cafe is clean. the cats are cute, clean, and friendly. the drinks are also nice. you can take picture anytime with the cats. great. the cafe is clean. the cats are cute, clean, and friendly. the drinks are also nice. you can take picture anytime with the cats. The cats here are very well treated and taken care of and the owners are very knowledgeable about these feline beauties. Very nice spot to relax or even do some work in! The cats here are very well treated and taken care of and the owners are very knowledgeable about these feline beauties. Very nice spot to relax or even do some work in! The owners were really nice and polite. Also, the cats were really well taken care of by the owners. Happy for that! The owners were really nice and polite. Also, the cats were really well taken care of by the owners. Happy for that!